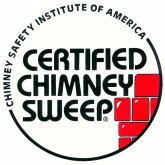 Keeping your chimney clean is important for the safety of your Selma home. A heavy buildup of creosote can lead to chimney fires and can contribute to air pollution inside and outside your home as well. If your chimney isn’t clean, you may also have debris such as brush or leaves, or in some cases wildlife. Our regular cleanings can ensure the safety of your family and keep your home smelling smoke free. Every chimney and flue system is unique as well. Our Selma chimney service experts will do everything to keep your home as clean as possible while sweeping. Our standard cleaning will include a state of the art video inspection to determine if repairs are needed and the amount of creosote has built up. Then we will complete an in depth removal of the creosote deposits in the chimney flue, smoke chamber, and firebox based on your inspection results. We will use chimney brushes, hand brushes, and special rods to ensure your chimney is clean and safe for use. The Nexus Chimney Services professionals in Selma will make sure that your chimney cleaning needs are met and that the job is well done. Contact us today to learn more about our cleaning services and specials.